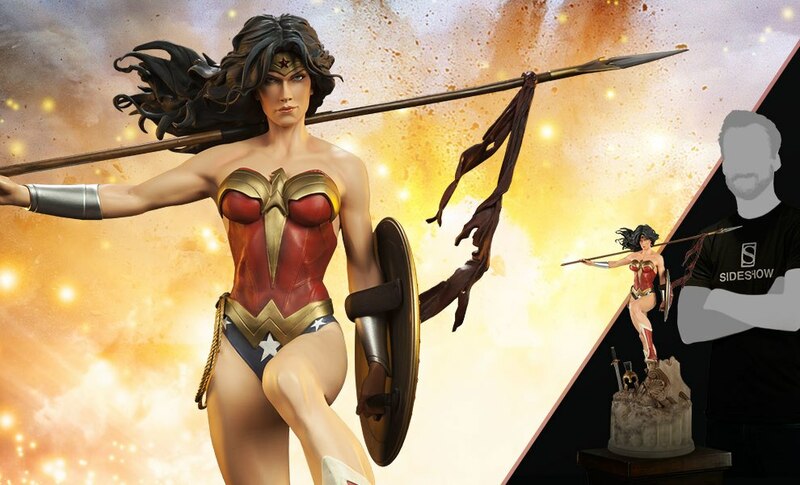 Handcrafted with austere beauty and fierce determination, Princess Diana of Themyscira dons her iconic costume of stars and stripes, sworn to protect the world and uphold her mantle as Wonder Woman. 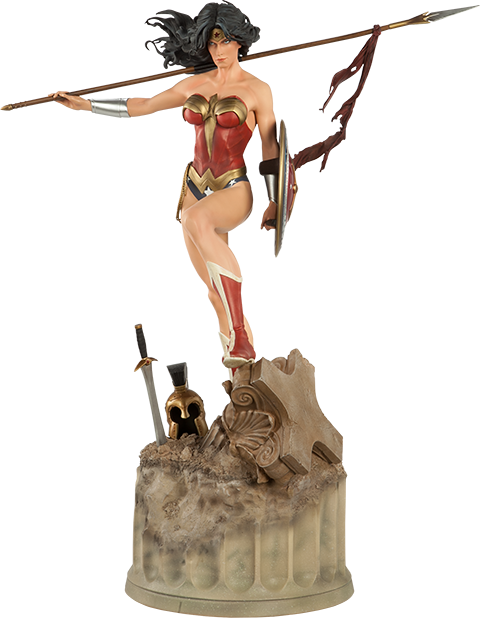 Granted divine superhuman powers and superior combat skills, the warrior princess is ready to gracefully accept any challenge, armed with her golden Lasso of Truth, indestructible bracelets, and tiara. 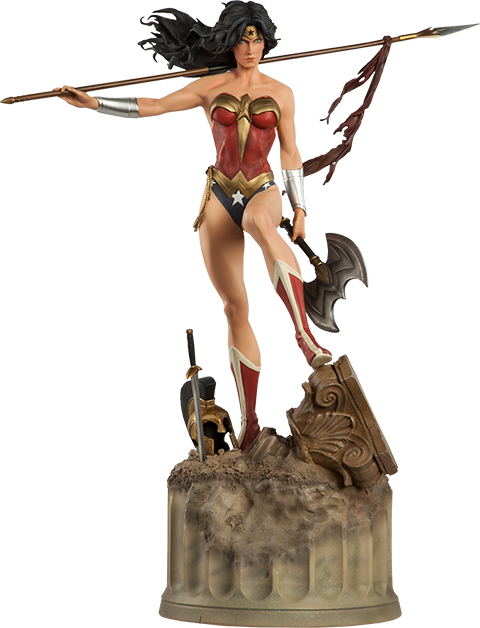 The Wonder Woman collectible figure carries a long spear across her shoulders, and her iconic shield grasped firmly at her side - but above all, she carries the Amazons’ message of peace and justice. 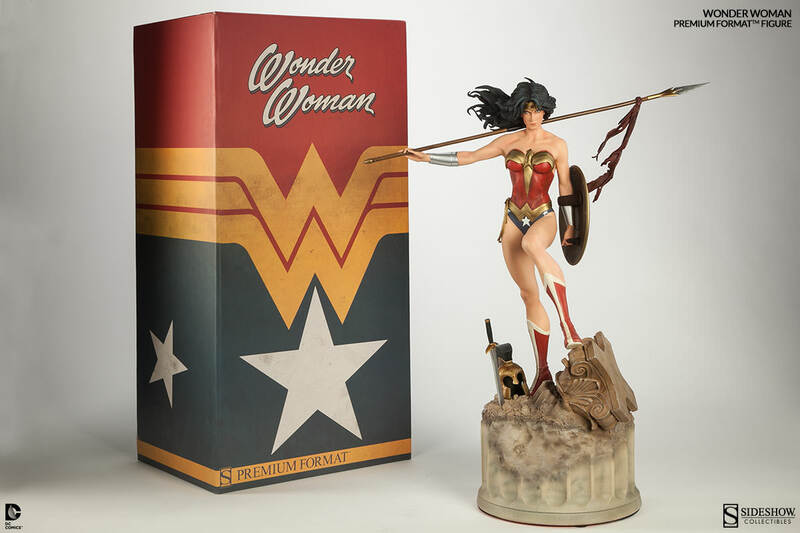 Fans of the mythic DC Comics superheroine are sure to find the Wonder Woman Statue an essential addition to their collection! Ultra impressive piece of ART. 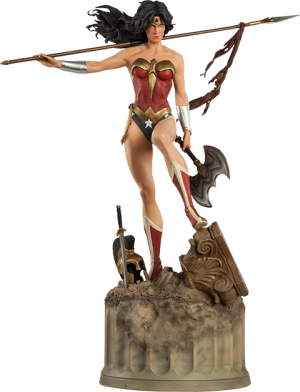 I love this BEAUTIFUL statue and its a GREAT part of my DC trilogy. 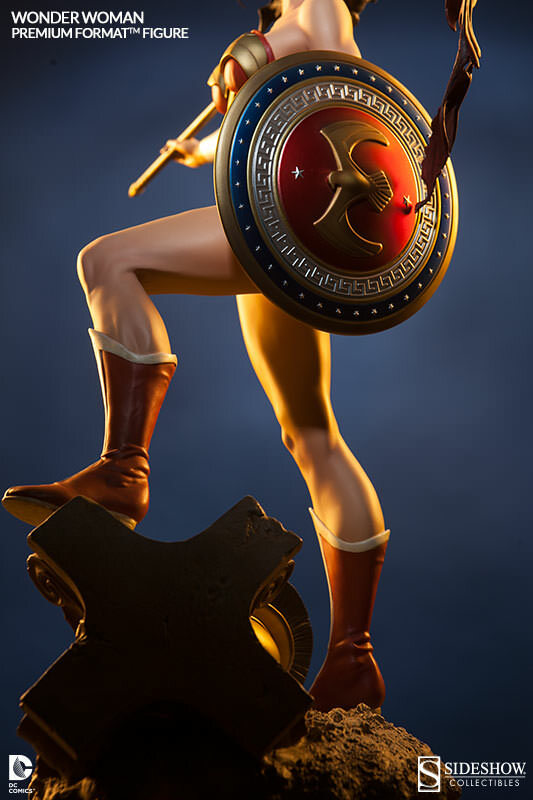 I had to order that Soviet Version and all the Soviet Statues. 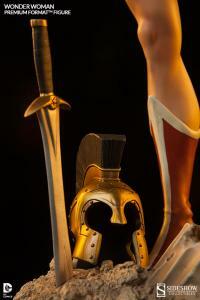 WONDERFUL collections!!! This PF figure is even more impressive in person. 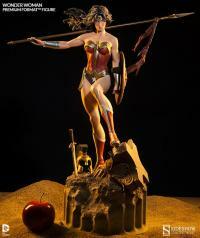 It is a truly towering statue. 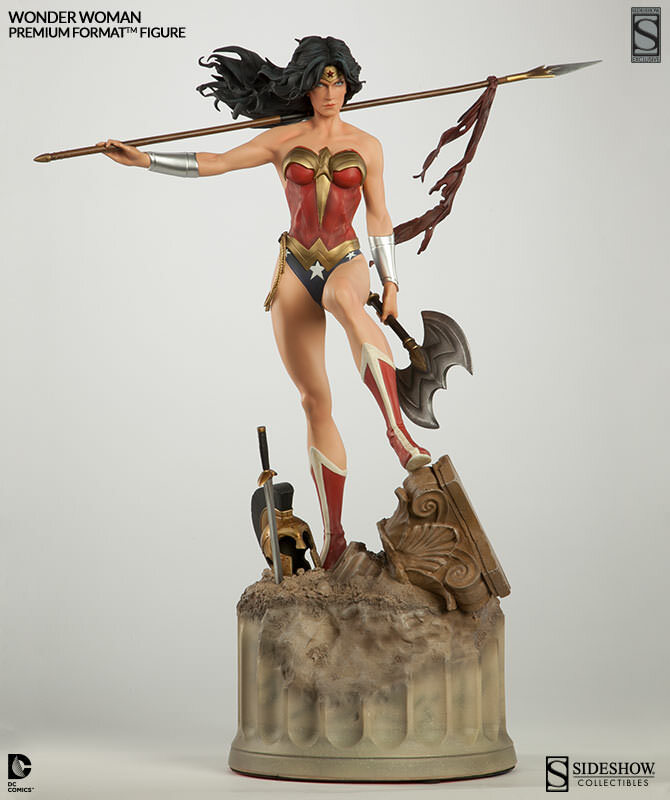 The proportion and scale are incredible. 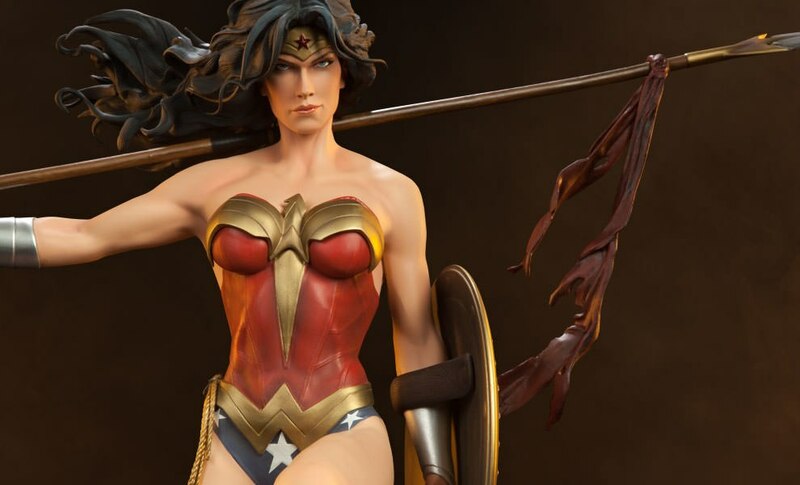 This Wonder Woman really combines a look of beauty and determination. Thanks Sideshow! 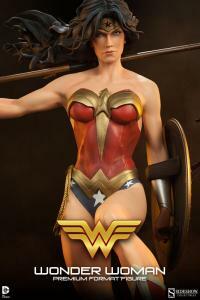 De entre todas, las Heroinas, ella es la que mas destaca, y la Iconica por Excelencia, sencillamente la Mejor Eleccion para todo aquel fanatico de la Liga de la Justicia. 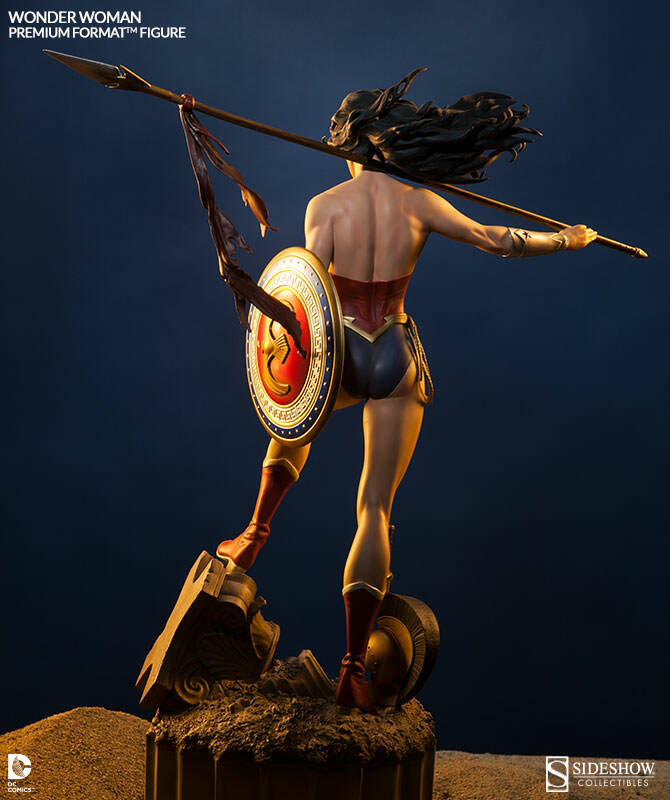 This is a gorgeous statue. I have been collecting Wonder Woman statues for a while, this is the best by far. Thank you Sideshow. Love it!!! 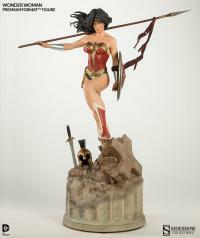 currently my favorite statue... she has a commanding presence when displayed... the ultimate wonder woman collectible... I love her!!! What a beautiful statue! You are as beautiful as Aphrodite, wise as Athena, stronger than Hercules and much swifter than Mercury! ; now go into this world and be a Wonder Woman. 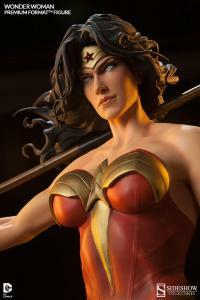 Thank you Sideshow, it was about time Wonder Woman got the PF treatment. She is as beautiful as Aphrodite, wise as Athena, stronger than Hercules and swifter the Mercury... she is Wonder Woman. 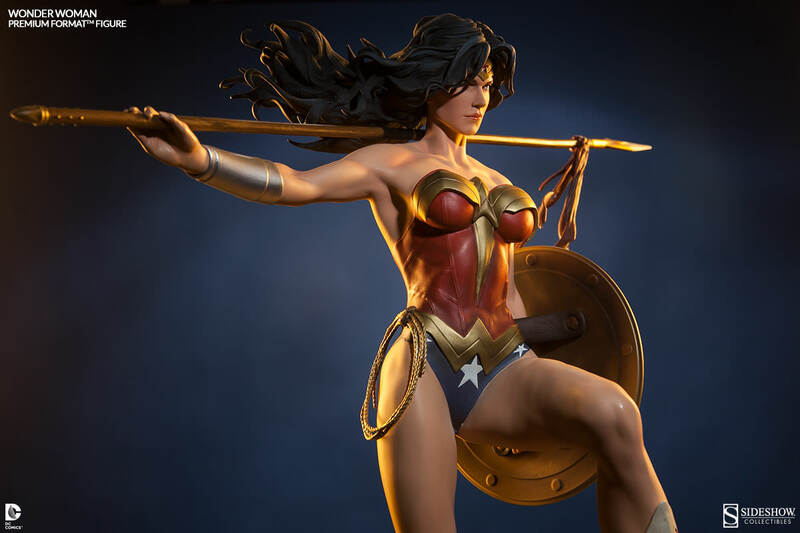 Just a truly gorgeous statue. 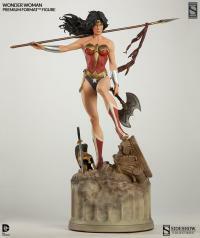 She completes my Trinity. 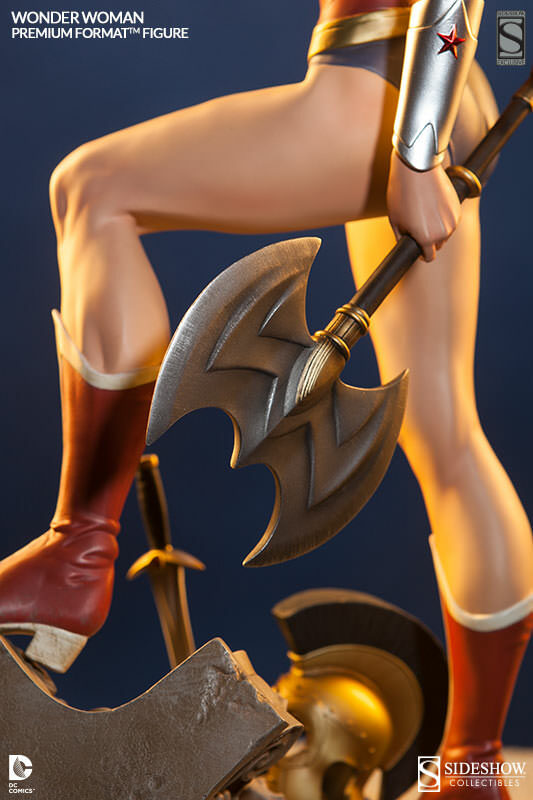 I unboxed my figure today and I cannot stop staring at her. 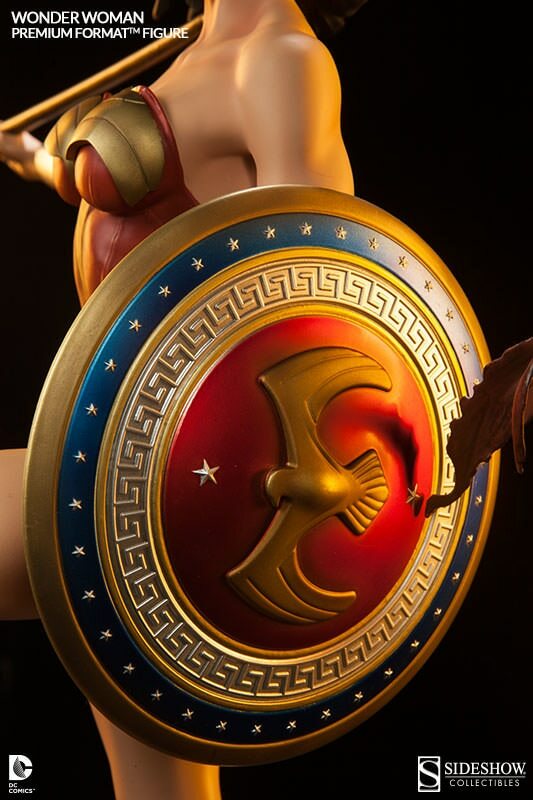 Every angle offers some new amazing detail, this is a wonderous work of art that was worth the wait.